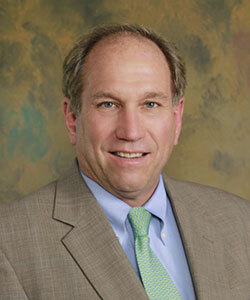 Ted Staples is the Managing Member of Staples Law Group, LLC. Mr. Staples has over 25 years of litigation experience throughout the State of Maryland and the District of Columbia. Mr. Staples began his legal career as a Law Clerk to the Honorable Robert L. Karwacki, Associate Judge, Maryland Court of Appeals. He is one of the few attorneys who actually has had a case in every jurisdiction of the State; from Ocean City to Garrett County and every stop in between. Mr. Staples focuses his practice in the areas of criminal and traffic defense, as well as personal injury litigation. He has handled nearly every type of case from major felonies to simple speeding tickets. In the area of personal injury work, he has achieved million dollar awards for clients; as well as defending cases worth millions of dollars. While Mr. Staples is no stranger to the courtroom, he also understands that there are cases that need to be resolved without the expense of a trial. Whether it is through Arbitration, Mediation or just good old fashioned common sense, he knows how to get the best results for his clients. Mr. Staples has been a guest lecturer on both civil and criminal law at numerous seminars throughout Maryland during his career. He has also mentored numerous younger attorneys, helping them grow their practice areas and improve their careers.